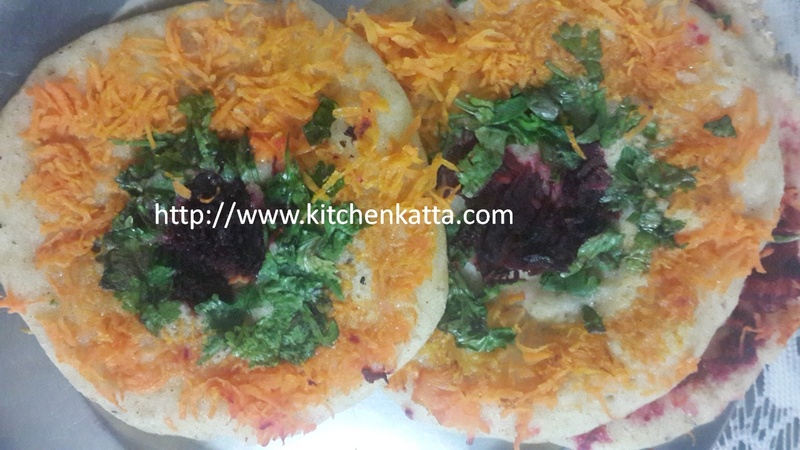 Mini Rava Uttapa is easy and instant preparation which can be had for breakfast or taken in lunch box..anyhow kids are going to love it and you will have fun making it!! 1. Mix suji rava, maida, salt, jeera, curds and green chilli if using, in a bowl. 2. Add water and make batter of pouring consistency. Don't make too thin. 3. Add eno and again mix well. 5. Heat tava and grease with oil. 6. 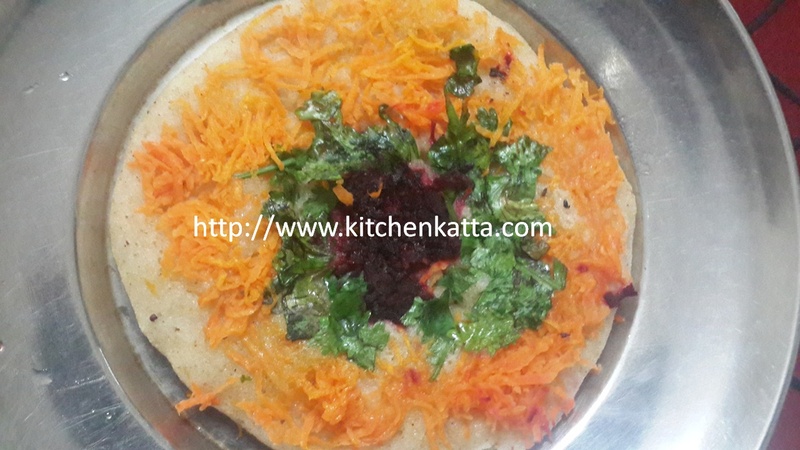 With a help of ladle, pour the uttapa batter in a small circle. Do not spread. 7. Maintain low flame. Spread grated carrot, beetroot, chopped coriander as desired while uttapa is yet to cook. This is one of the traditional recipes in india. Its rich with heavy ingredients and also the calories are very high.